Set up your tent, caravan or motorhome on a beautiful, spacious pitch amid 3 hectares of nature. Please state the make and size of your tent or equipment in the notes section of the booking form so that we can be sure you have booked the most suitable pitch. 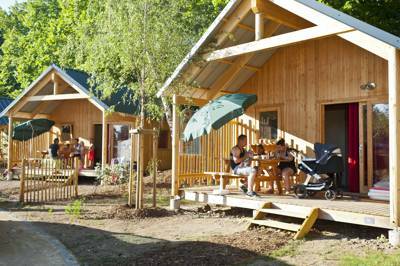 Less than 10 minutes from the historic centre of Strasbourg, the new Camping de Strasbourg campsite is located in the so-called Montagne Verte district, just a few tram stops from the city centre. It's an ideal camping space for a long weekend, city break or event to spend the whole of your summer holidays. Perfectly placed for exploring not just the city but also the countryside beyond, and fully renovated in 2016, the site offers a wide variety of accommodation – tent pitches, campervan and caravan spaces, plus ready pitched wood-and-canvas tents and chalets, making it a comfy place to stay whatever the season. Indeed one of the nicest times to come is in December, when Strasbourg's famous Christmas markets are in full flow. The site's facilities are as good as you would expect from somewhere that has received such a recent makeover, though admittedly it leaves the site on the very commercial end of the camping spectrum. However, what it lacks in small scale intimacy, it makes up for with the city-friendly location and, hey, who's complaining about having first rate ablutions blocks? There are two spanking new heated washrooms designed with both families in mind and folks with with reduced mobility too, plus an area with washing machines and dryers, and a new central lodge, which has a café and library, TV and free wi-fi. There's a heated open-air swimming pool and lots of other activities, including table tennis, pétanque, table football, volleyball and a children's playground. In summer, a bar and restaurant with a lovely covered terrace are the place to spend lazy lunches. If you can tear yourself away from the site, you'll soon discover that the Alsatian capital is one of France's most charming cities – not just the second home of Eurocracy but with a unique timbered old centre, a stunning Gothic cathedral and more convivial restaurants and cafés than you could visit in a month of Sundays. The countryside beyond, particularly in the wine country to the south of the city, is green and rolling, dotted with vineyards and alluring small towns and villages. 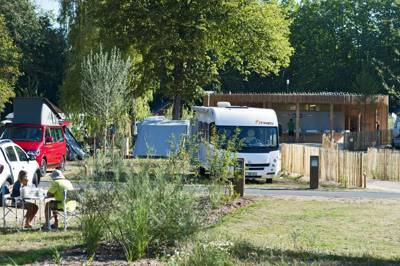 Less than 10 minutes from the historic centre of Strasbourg, this new Strasbourg campsite is located in the Montagne Verte district, just a few tram stops from the city centre. 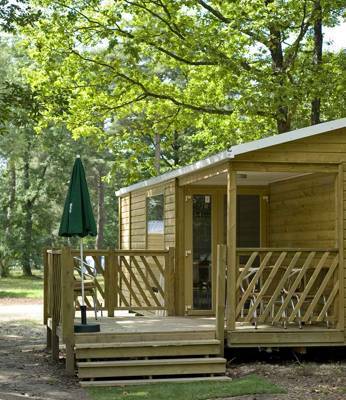 An ideal campsite for a long weekend, city break or longer with a wide choice of accommodation. Magical, fairytale... there are no words to describe the winter atmosphere in this great city. Discover the oldest Christmas market in Europe, with a unique atmosphere, markets stalls, mulled wine, Christmas lights, decorated houses and the giant Christmas tree in Place Kléber, or come in summer time for hanging baskets of flowers, summer festivals and special events. Camping de Strasbourg, the ideal campsite for exploring the beautiful city of Strasbourg throughout the year, whatever the season. Set up your tent, caravan, or motorhome or choose rental accommodation with all the comforts. You will find a range of services for a truly comfortable stay, including a brand new warm and friendly central lodge with a TV room and book-swap (plus free Wi-Fi); bikes for setting out to explore the city of Strasbourg; a bar-restaurant area; bread and croissants upon order every morning for a real French breakfast! There is also a leisure area with its swimming pool, volleyball pitch, petanque court. For latest availability and best prices for Camping de Strasbourg, please use the Date Search above. 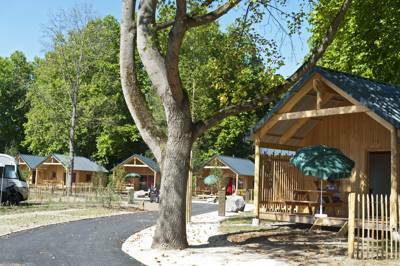 147 camping pitches, plus wood-and-canvas ready-pitched tents, wooden trails, mobile homes and chalets. Two brand new heated washrooms with family cubicles, baby changing areas, toilets, showers and disabled cubicles. Laundry area with washing machines and dryers (tokens on sale at reception). The site's reception area has lots of information on Strasbourg and the local region, computer with free internet access and there's a brand new central lodge, open throughout the year, where there are board games, a café, library, a TV room and free wifi. There's also a heated open-air swimming pool and lots of other activities, including table tennis, pétanque, table football, volleyball and a children's playground. Strasbourg is gorgeous: spend some time ambling through its ancient timbered centre, discovering the picturesque historic district of Petite France, once inhabited by tanners and millers, and the grander, imperial German Nuestadt; visit its Gothic cathedral – one of the country's most impressive; its superb range of museums, and its glorious parks and gardens. Better yet, do it by bike, which you can hire from the site, and take the cycle paths that leave from the campsite – the short Muhlbach Trail follows a circular route around the site, or cycle into the city centre. Outside the city there are more bike trails to explore – head for the vineyard-covered hills to the south and towns like nearby Obernai and Barr (the capital of the Alsace wine region). Bread and croissants can be ordered every morning for a real French breakfast at your tent, while the site's own café serves a full menu of meat dishes, salads and pizzas. In Strasbourg, there are any number of places to enjoy the unique and delicious local cuisine, not least the excellent Vince'Stub (03 88 52 02 91) and the Winstub S'Kaechele (03 88 22 62 36), both in the city centre and both serving great and affordable traditional Alsatian food in a cosy bistro environment. The Table Gayot (03 88 36 30 27), close by the cathedral, is also good. Camping pitches from €23.90 to €34.40 depending on the time of year. 'Classic' wood-and-canvas tents (sleeping 4) €42–€68 a night; 'Sweet' wood-and-canvas tents (sleeping 5) €45–€60 a night; Gypsy Caravans €55–€103 a night; Mobile Homes (sleeping up to 6) €59–€117; Chalets €75–€126 a night. From Paris: A4, exit 4 "Porte de Schirmeck"
From Lyon: A35, exit "Strasbourg centre"
It's 5km to the SNCF train station in Strasbourg and the city also has an airport – Strasbourg-Entzheim Airport (14 Km) – with international routes.